This is a blue sapphire and diamond bracelet. 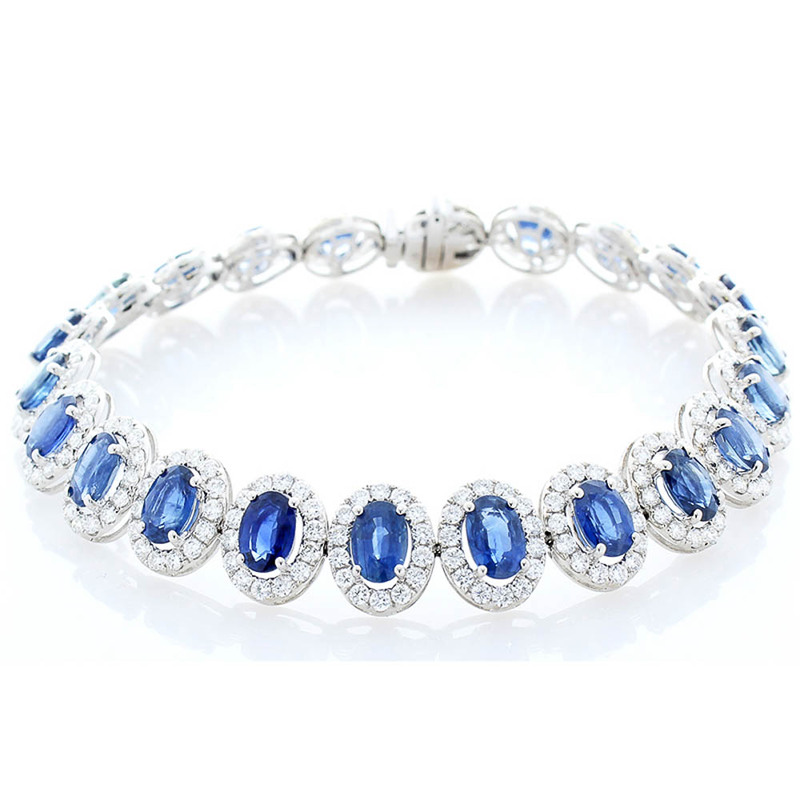 Twenty-two beautiful blue sapphires, totaling 13.70 carats, adorn this exquisite bracelet. The gems are perfectly matched in size, color, and luster. Each sapphire is framed with a diamond halo of brilliant white diamonds. There are 309 diamonds; the total weight of the diamonds is 4.89 total carats. Expertly set in 18k white gold with a secure and easy-to-use clasp; enjoy it as much as you can; this is a piece that should be in your family forever.